I am a developer of OEM. 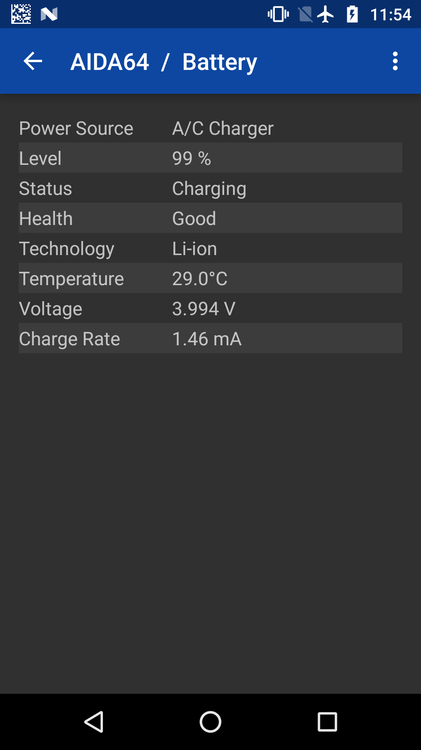 There is no battery capacity information on AIDA64 UI while It is running on our Android phone. Why? How to fix this issue? Which profile and items are AIDA64 used for this feature? Thanks. what phone model is it? Thanks, all. I have fixed this issue. Wrong Battery wear level on iPad Pro 10.5"
I did noticed that battery wear on my new iPad Pro 10.5" is probable wrong, because it shows wear level 4.11 constantly, and Ipad have only few cycles. And it would be awesome if there is temperature information of ios devices.